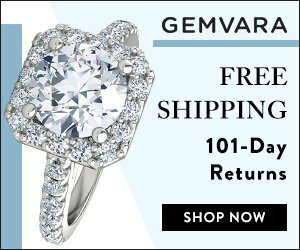 Just when you think you’re going to have to wait till Black Friday for a great deal on an engagement ring from James Allen, along comes a sale that truly sparkles! I’ve told you about True Hearts diamonds before. 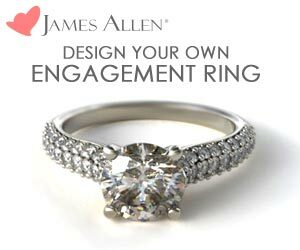 James Allen’s collection of idea cut diamonds with a visible hearts-and-arrows pattern and perfect optical symmetry. 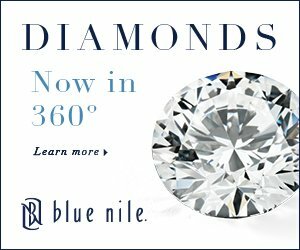 These diamonds are the highest quality available in James Allen’s online diamond collection and are exactly the stones you need if you’re trying to re-create a high-end designer ring look (Think Tiffany & Co.) at a lower price point. 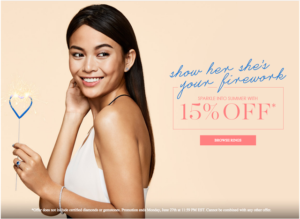 With 25% off a setting when you purchase a hearts-and-arrows diamond from now till June 13th you have plenty of time to customize your own true sparkler. 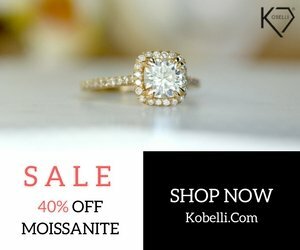 If you already have your eye on a pricey pave or channel-set setting, this is a great time to snag it at a discount. 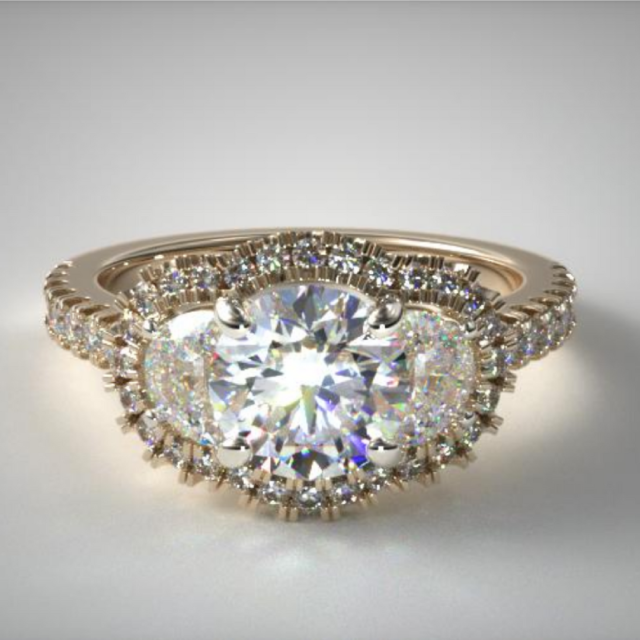 This unique setting features a round center stone flanked by two half-moon diamonds encircled by a pave halo. 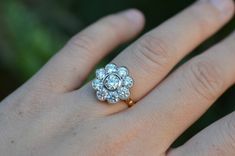 The pave extends to the band for a cohesive and sparkly look. 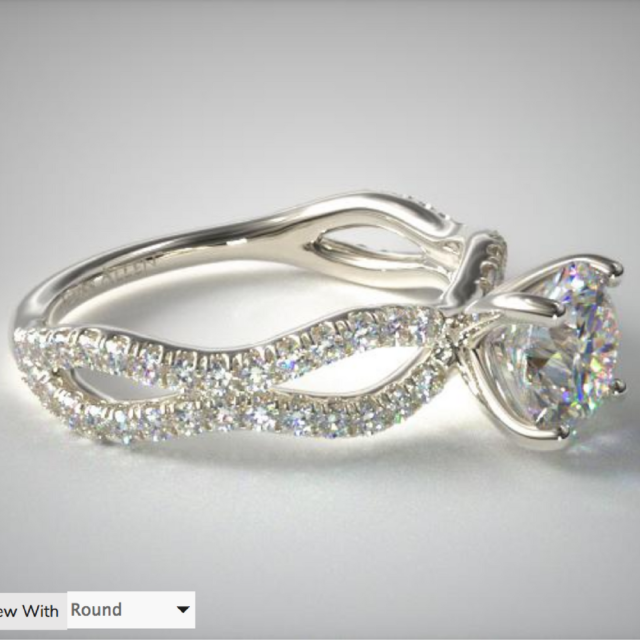 This setting lists for $5750 but with 25% savings with a True-Hearts Diamond you’ll save $1437 on this beauty. Click here to see it from all angles. Split-shank settings are great – but if you love the look but want something that stands out, check out this wavy split shank design from James Allen with modern appeal. 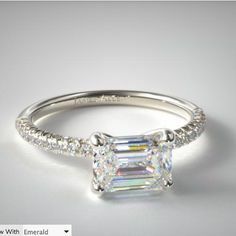 At a price of $2050, you’ll save $512 when you set it with a True Hearts diamond. 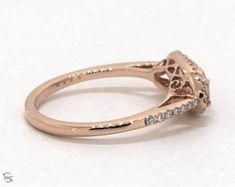 See more angles on this split shank setting. 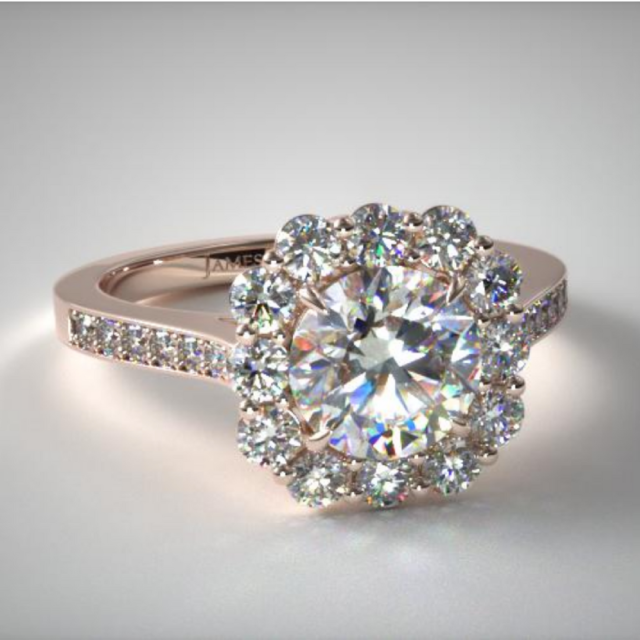 This regal halo setting comes in rose, yellow, white gold and platinum at James Allen and no matter what metal you choose, the presence of this unique halo will be felt. 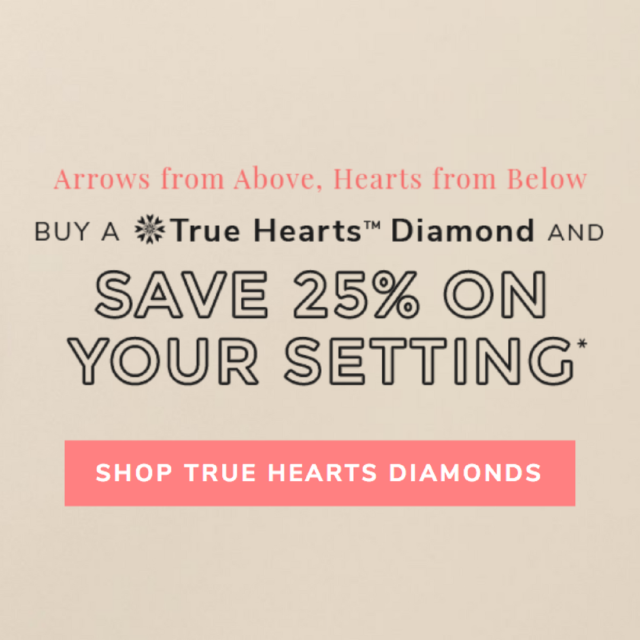 Large prong-set stones in the halo give it a distinct shape, and with 25% savings when you buy a True-Hearts diamond you’ll save $527 on this setting. Tell me what setting you’re hoping for in the comments below!